Mortal Kombat 11 is soon upon us and we had the chance to play the game already thanks to the recently released closed beta. Is this game a worthy successor to Mortal Kombat X? Well the one thing I noticed most about playing the Mortal Kombat 11 beta is just how improved the graphics look like. I played Mortal Kombat X four years ago on an original Xbox One and the game looked great for its time. It’s now 2019 and I must say that Kombat 11 looks far superior to its predecessor. I managed to play the new game on a PS4 Pro on my 4K TV and everything looks more detailed and brighter than ever before. It’s also worth mentioning that MK11 is by far the bloodiest looking Mortal Kombat game I have ever played. Aside from the usual Fatality moves, more blood is seen in the game even when you are doing normal moves too. It’s a sight to behold and MK fans will love the display of blood spilling everywhere. Speaking of Fatalities, MK11 has some of the most creative finishing moves I have ever seen in MK history. Yes they are very gruesome, although they are fun to watch if you manage to execute them correctly after every fight. It’s not just the fatalities that are gruesome either because NetherRealm Studios has upped the ante when it comes to the Fatal Blows too. Usually Fatal Blows made bone crunching impact to enemy fighters, but in this game they are just as bloody and vicious as the Fatalities themselves! Trying them out in every match was also very fun. In terms of gameplay, MK11 is still very fast paced and very enjoyable. The game feels a lot more fluid compared to other MK games in the past. The only thing I worry about is that some fighters have more special moves than other people. Hopefully all fighters feel more balanced by the time the game comes out in late April. There was not much else to see and do in the beta as the only characters added where Scorpion, Skarlet, Jade, Kabal and Baraka. The beta also only featured three stages and there weren’t many opportunities to interact with the environment. I’m hoping there are more creative stages by the time the full game releases. As for online play, my time with MK11 was really positive. I experienced zero lag as all of the matches I played in were smooth without any technical difficulties whatsoever. It also did not take me a long time to find new opponents from around the world. If this keeps up at launch, there should be a lot of happy players. 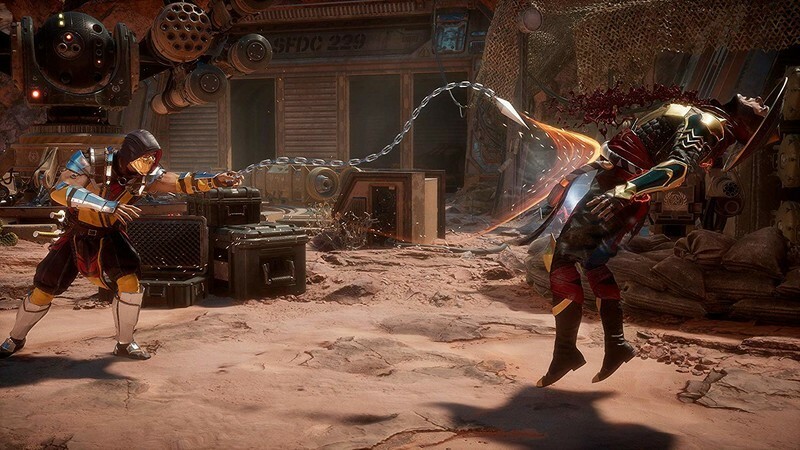 Anyway, the beta for Mortal Kombat 11 didn’t feature too much content, but the full game promises to feature a lot of things for you to see and do. The game releases worldwide on April 23rd, 2019 and will be available for you to buy on PC, PS4, Xbox One and Nintendo Switch.